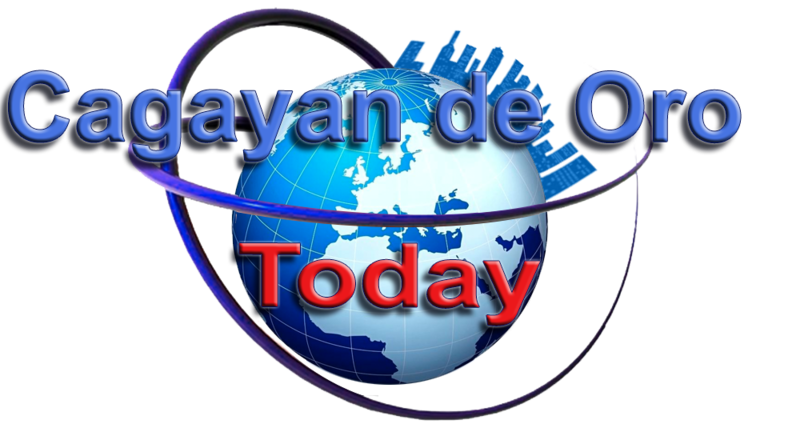 Home / Cagayan de Oro City / Events / Lifestyle / GUNPLA CARAVAN CDO TOY SHOW! GUNPLA CARAVAN CDO TOY SHOW! 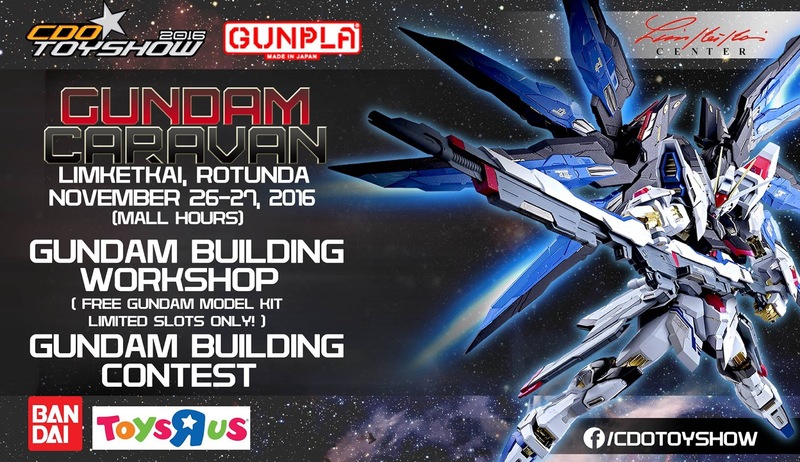 We will be giving away free GUNDAM MODEL KITS! For our Gundam Building Workshop. Open Category: Anyone who is 21 years old and above (Born on or before February 28, 1995). Youth Category: Anyone who is 15 to 20 years old (Born from March 1, 1995 to February 28, 2000). 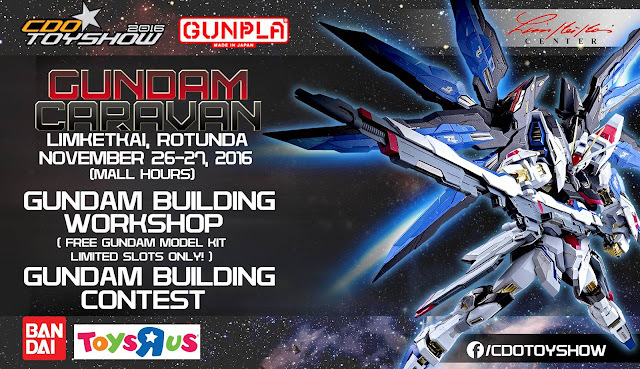 All participants may assemble & paint any Gundam model kit brought from any Toys ‘R’ Us and Toys ‘R’ Us Toybox stores in the Philippines. 2. Puttying, sanding and the use of paint are allowed. Model part detail lines erased by puttying and sanding can be re-lined, but extra lines not in the original part cannot be added. 3. Use of decals & any color schemes and patterns are allowed. 4. Using of any stand is not allowed. - Original BANDAI Gundam model kit box. - Original Receipt of Gundam model kit entry from Toys “R” Us and/or Toys “R” Us Toybox stores Philippines.  Participants are allowed submit maximum of three (3) entries. Participants must submit the actual entry personally. We will not allow representatives. Posing of entry must be done by the owner. Champion – P3,000.00 worth of Gundam model kit. Champion – P2,500.00 worth of Gundam model kit. Assembly skills 40% - The proper way of building or putting together of Gundam Model Kit parts to make a completed product. Painting 40% - The correct act of applying paint, pigment, color or other medium to the Gundam Model Kit. The medium is commonly applied to the Gundam Model Kit with a brush but other implements, such as sponges, brushes, airbrushes and other model kit tools. Presentation 20% - The manner or style in which the Gundam Model Kit is exhibit or displayed. All entries will be checked to ensure that each and every entry is complete and ready for display. Non-compliance to contest regulations will result to forfeiture of participation, even after acceptance of the entry.